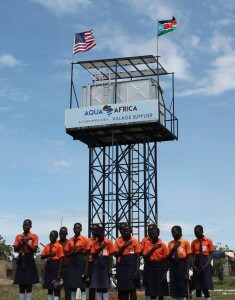 During 4th quarter 2015, Aqua-Africa completed its most ambitious water project. 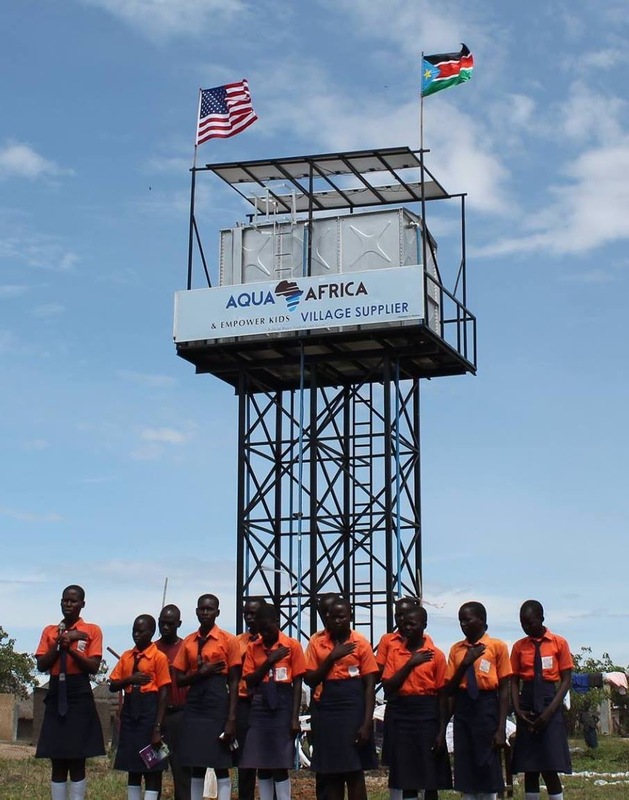 In partnership with Empower Kids, Aqua-Africa installed a water delivery system called “Village Supplier” in Motoyo East, a community located in Nimule, South Sudan. The Village Supplier was designed by Omaha Nebraska engineering firm, Lamp, Rynearson & Associates. Unlike hand pump water wells that produce 5,000 liters of water a day, the Village Supplier system is projected to provide up to 80,000 liters of clean treated water a day. The 22 feet elevated tank feeds four water access points, identified for two residential areas, one access point for a secondary school and another to a church. Each access point has up to four spigots and good water pressure.